Win Up to a $50 Gift Card by Entering Our Photo Contest! 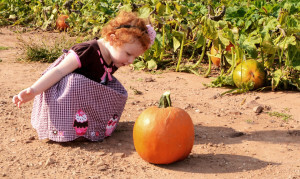 This season while you are at the orchard, be sure to bring your camera and take photos of your experience on the farm! All qualifying media may be featured on our website, Facebook page and promotional material! We will also send the photos of the winners to the local newspapers for publication. We encourage our Facebook followers to comment on and “like” their favorite entries. We encourage photos from all seasons! 10 submissions per entrant. May be submitted several times throughout the season as you take and share your photos. Contest only open to amateur photographers. Not open to Weaver’s Orchard employees or their families. You must fill out an official form and agree to the terms and conditions. Photos must be submitted by December 15th, 2018. Winners will be notified and announced in January 2019. Photos must be submitted by emailing digital photos (must be .jpg file to qualify) with the words “Photo Contest” in the subject line with the photo contest form (above) completed. The email address to send photos to is listed on the official form. Please note: we are now accepting photos taken on smart phones, though they are often not high enough quality to win. Keep in mind our judging criteria, listed below. By entering this contest, you understand that this photo and the provided captions become property of Weaver’s Orchard. You authorized Weaver’s Orchard to use this photo in promotional material, on their website, Facebook page and other media without further notification or compensation. Our contest is judged by 3-5 Weaver’s Orchard staff members. We encourage interaction with the photos on Facebook such as “liking” or “sharing” the photos and we do take this into account when judging, however our staff makes the final decision based on the best quality photo that we can use to promote experiencing the farm. Since we have a wide variety of crops, we try to feature different crops in each winning spot, therefore if you visited several times this year, select a photo or two from each visit.